On our recent trip to Philadelphia I took my tween and teen kids to one of my favorite shops from when I used to visit Philly back in the early ’80s, I Goldberg Army & Navy. 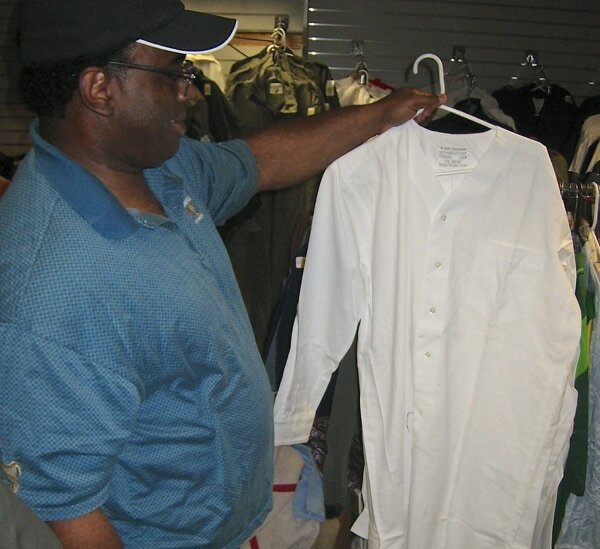 In their surplus area, on the basement level, we found a treasure-trove of all kinds of clothing and equipment that would make some seriously cool fashion statements. 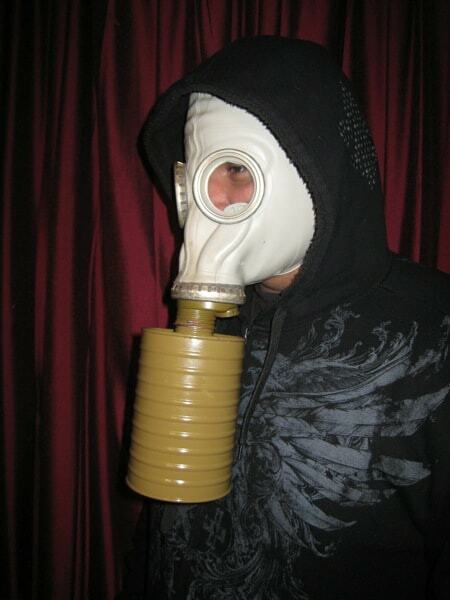 Given the latest headlines featuring cannibalistic attacks likened to zombie uprisings, we had World War Z on the brain, and my son found the perfect zombie apocalypse accessory – a Soviet Era GP-50 Gas mask. Complete with canister filter! 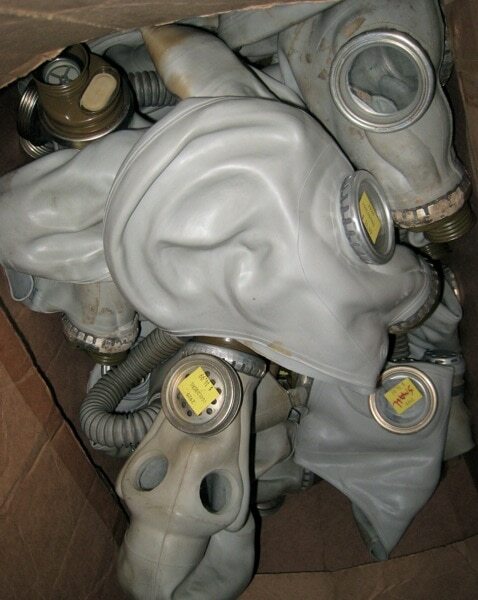 The surplus is from all over the world, and for those who like to dig around, there can be some interesting finds. 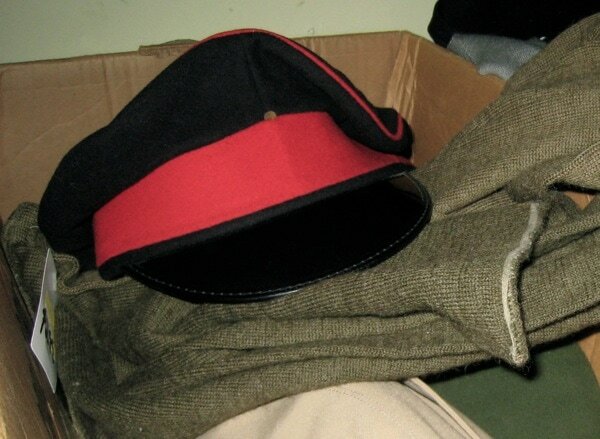 My daughter (who refused to allow photographs) found a really cute lightweight peacoat-like double breasted jacket in black, and upstairs she got a black patrol cap to go with it. Someday I may talk her into modeling it, but for now you’ll have to trust me that it is an adorable outfit. It’s definitely not a mainstream tween look, but it totally works. I found a little black belt that’s actually for holding mini pistol holsters. I don’t have a pistol or holster, but the belt sure looks neat with my jeans. My husband considered getting a nightshirt, but was bummed out to find they didn’t have any in his size. Which means we’ll just have to go back and see what’s new another time! 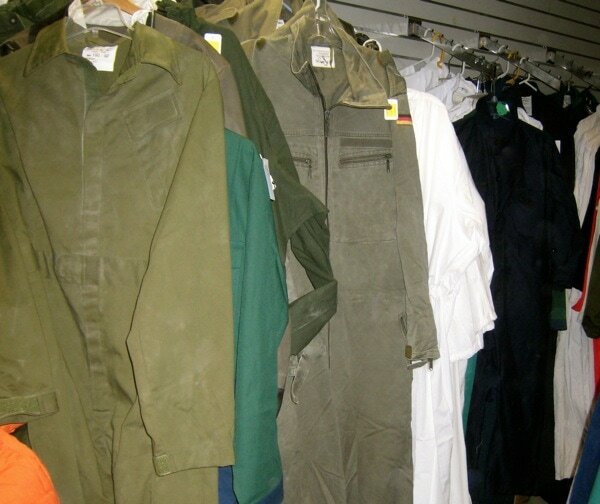 In other post-apocalyptic fashion shopping, these coveralls are a practical, and spiffy, choice, and in colors for every occasion. Upstairs on the first and second floors, you’ll find new merchandise, from camping supplies and equipment to heavy-duty workwear and paramilitary items. We found the staff to be very friendly and helpful, and full of tips for how to beat the zombies when the time comes.